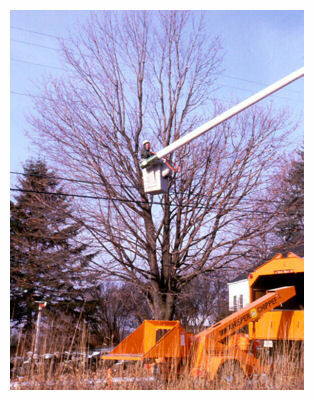 Utilities - Pruning Trees Near Utility Lines. This section is not intended to teach property owners how to prune trees near utility line. That pruning is best left to professionals. It is a very dangerous job. 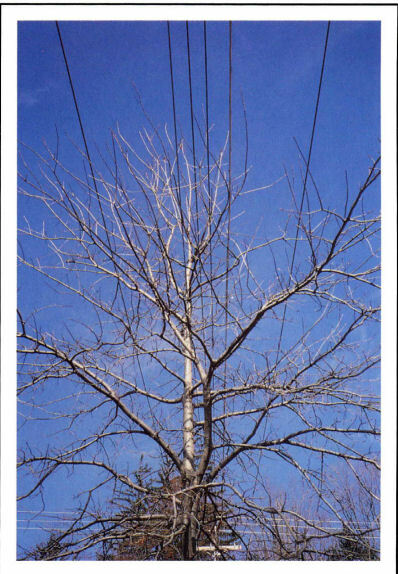 Often there is confusion about the method of pruning trees near utility lines. Here we will try to show some proper as well as improper practices of pruning trees near utility lines. I suggest anyone working near lines take a safety course by a trade association. I.e., if they have not yet done so. I know the TREE CARE INDUSTRY [TCI] has a good one. It may save your life or someone else's. It did mine. Picture at left was taken when the temperature was 10 below zero. Click here for some pictures taken in Pennsylvania. 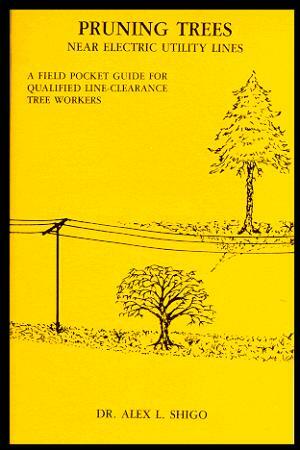 Here is a great booklet for people with concerns about the methods companies are using to prune trees near utility lines. A booklet by Dr. Shigo. The book is inexpensive. If you cannot afford one, contact me, and I will donate one to your local library. One huge problem with trees and utilities is the humans that plant large maturing trees near line. The crimes against nature go on. 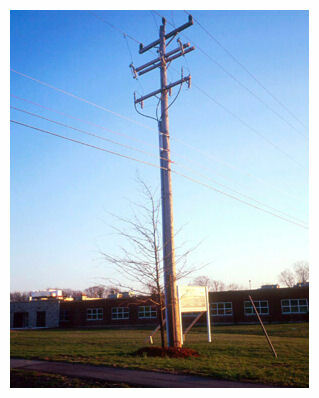 This oak was planted directly under utility lines three years before the photo was taken. The only answer here is to post heavy fines against anyone who plants a tall-maturing tree directly under a utility line. It would be great if our tree organizations would support such action. Dr. Shigo had tried. Words by Dr. Alex L. Shigo on the topic. Some pictures of not so good treatments. 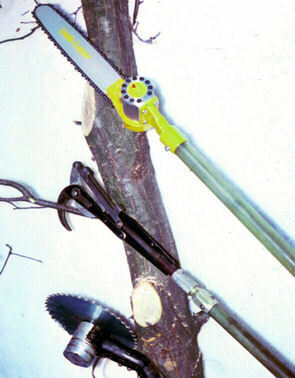 On the left is 3 commonly used tools for pruning trees near utility lines. Proper pruning cuts are made to establish the shape of the trees. 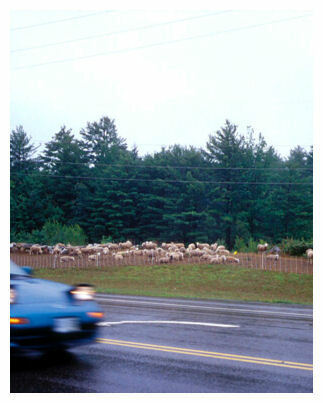 Some utility companies such as this one, use sheep to manage vegetation under lines rather than other undesired methods. Videos on Trimming Trees Near Utility Lines.